Marking technologies are used to create visible or invisible security features that protect products from counterfeiting and allow the proof of their authenticity. Devices and systems that detect and check security features to prove product authenticity. 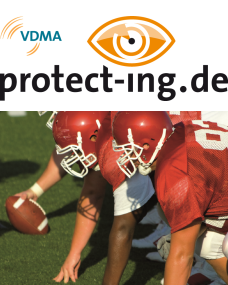 In early 2008, BMBF has started the announcement "Innovation against product piracy". Ten research projects confine the risk of piracy with innovative, technical protection measures. In addition to these research projects, the cross-cutting project "ConImit" was started. 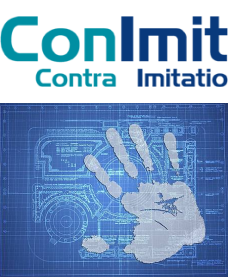 Objective of ConImit is to increase the impact and broad the effect of these research projects and to promote the application of protection measures against product piracy in the capital goods industry. The online platform conimit.de sensitizes the public to the issue of product piracy and provides information about possibilities of protection. Registered users are informed about the latest developments on product safety and upcoming events with newsletters. A catalog, which currently contains about 80 individual protection measures, offers a compact representation of possibilities for companies to proactively protect themselves against product piracy. Every measure is briefly described and instructions in Terms how to applicate them are given as well. The registration is free of charge. point for companies which are looking for support in the fight against product piracy.